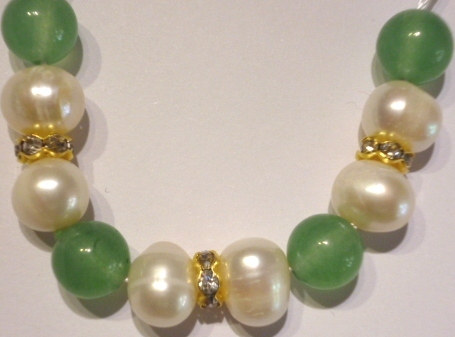 We usually let our products speak for themselves - that is we don't go in for flowery, over-hyped blurb. 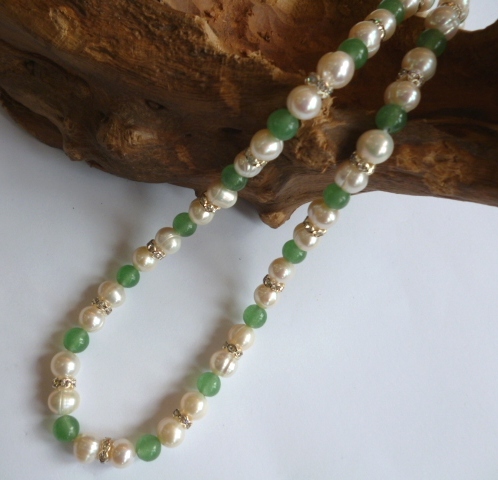 However, this 18 inch necklace of 6-7mm pearls and 6 mm pale green aventurine jade is worth describing as a fabulously expensive-looking piece - at a really down-to-earth price! 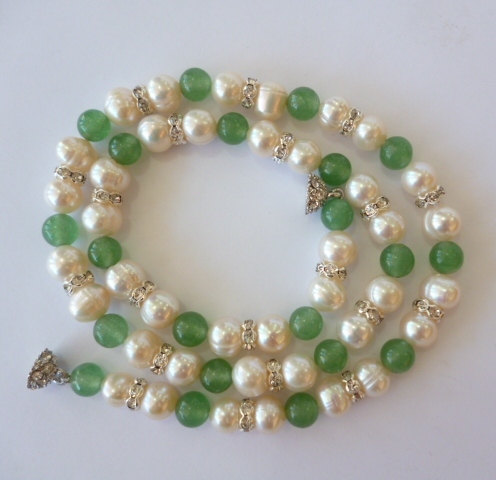 Gleaming white lustrous pearls and mysterious green jade are accentuated by sparkling faceted crystal rondelles and fastened with a designer magnetic clasp. 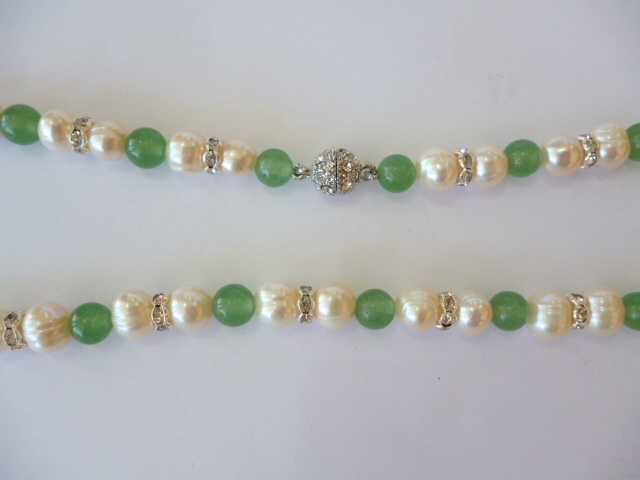 Please choose silver or gold finished rondelles and clasp. 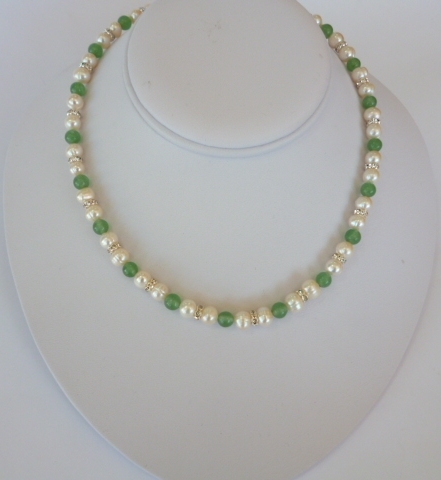 Your necklace will be sent in a pretty and practical purse or a handsome gift box.